I am getting back to Cooking with Cookbook Challenge after couple of weeks. Even with all plannings, we sometime face unexpected things and you are left with no choice but to stop doing something. I faced such a situation and even though I wanted to be prepared, I couldn’t do it. So getting back to doing this after a gap and am glad I am getting back with a healthy, interesting rice dish. Interesting I say because one would not expect such a combination to happen. When Amma made this for the first time, she sort of gave us a riddle. She wanted us to decipher what went in. The mixed rice was very delicious and all, yet we couldn’t point out clearly on what all went in! Before even going into checking out how to make the various dishes with this vegetable, check out how to peel a Ridgegourd. Wash, peel the ridgegourd and include some flesh along with the peel as well. Heat a non stick pan with a tsp oil, add cumin seeds, then add chopped green chilies, then add chopped coriander leaves, then add peel. Fry well till it’s fried well. Let it cool. Then grind to a smooth paste. Heat a pan with oil, add curry leaves, garlic, mustard seeds, red chilies, cumin seeds, saute well. Then add the ground ridge gourd paste, and combine everything well. Cook for couple of minutes. Now add cooked rice and gently mix well. 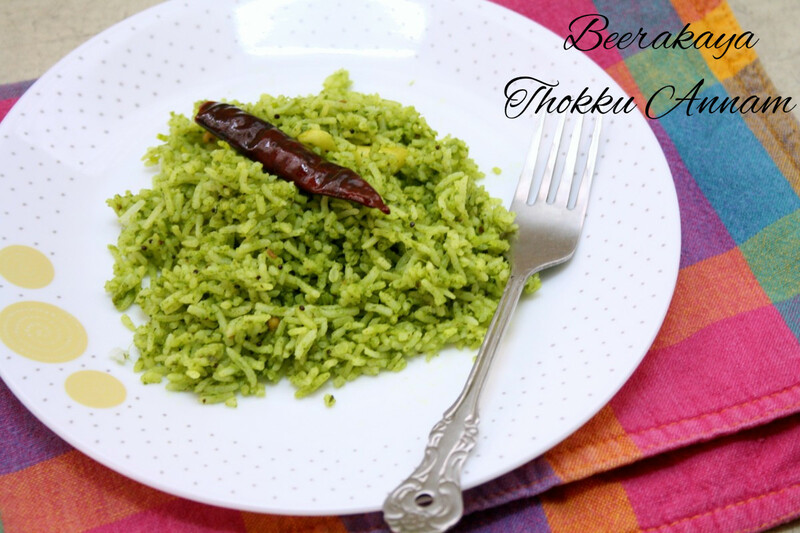 This is a very healthy & delicious rice dish. 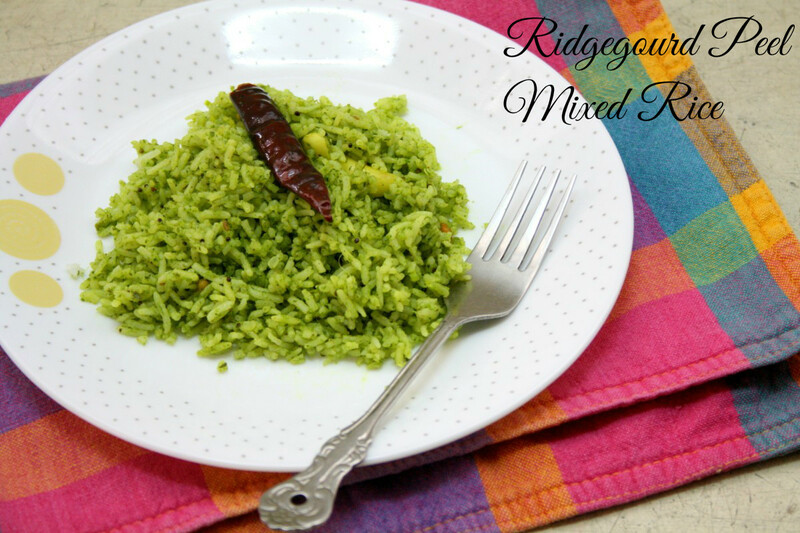 Using ridge gourd peel to make rice is a very interesting idea.